On Valentine’s Day everything should be perfect for your date or the person you already love. Decorate your house in various ways. 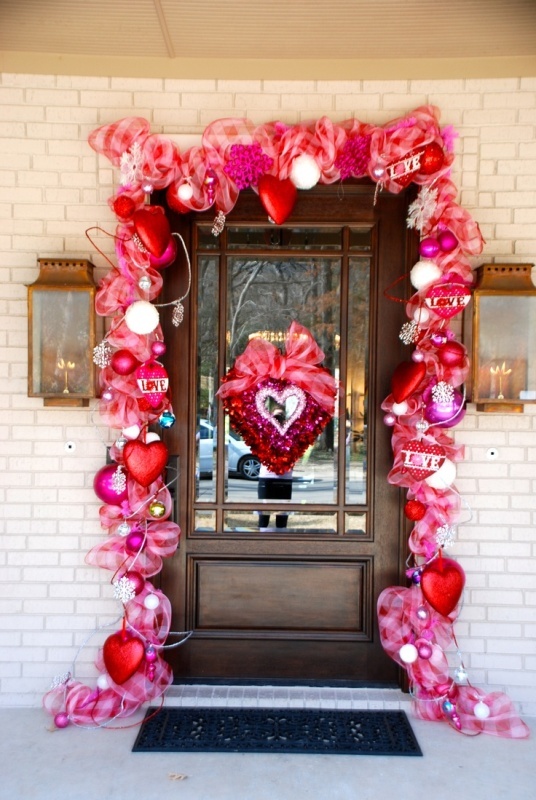 Here are the variants: hang a garland of hearts, a wreath, put some candles, flowers and jars with heart-shaped candies. 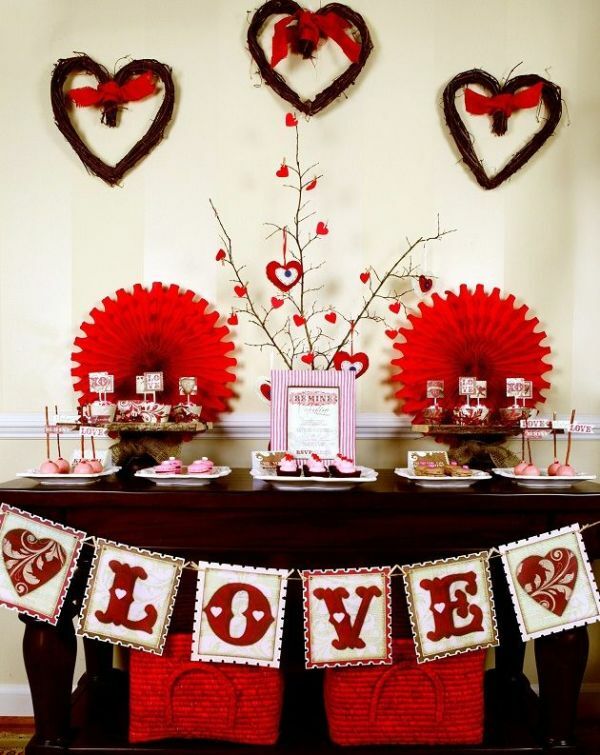 Take some decorative plates, flower balls, cardboard with saying and proverbs about love or just with love expressions. Take pillows with cupids and hearts; make some decorations and installation of paper flowers and hearts yourself. No matter, natural or paper flowers you take – both are good for decoration. Make a garland of your photos together. Enjoy the atmosphere created!